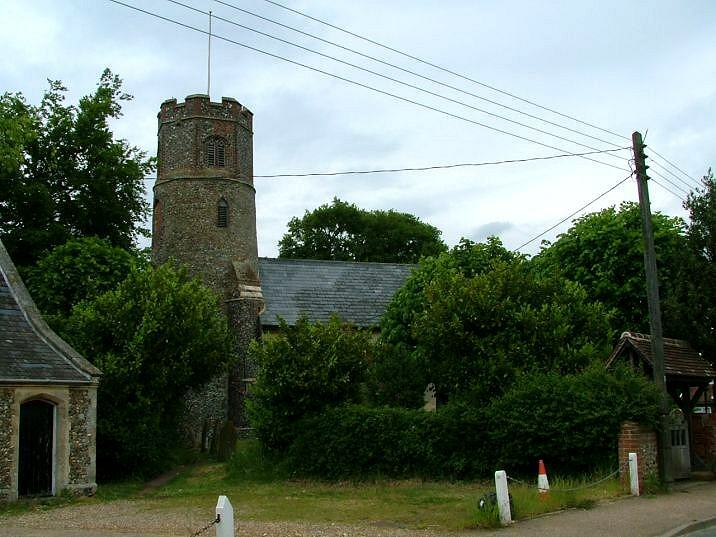 It is an ill wind which blows nobody any good, and Needham has benefited from the hideous Diss to Yarmouth road which now bypasses it, leaving it a pleasant, pretty village with an exceptionally wide and empty high street. 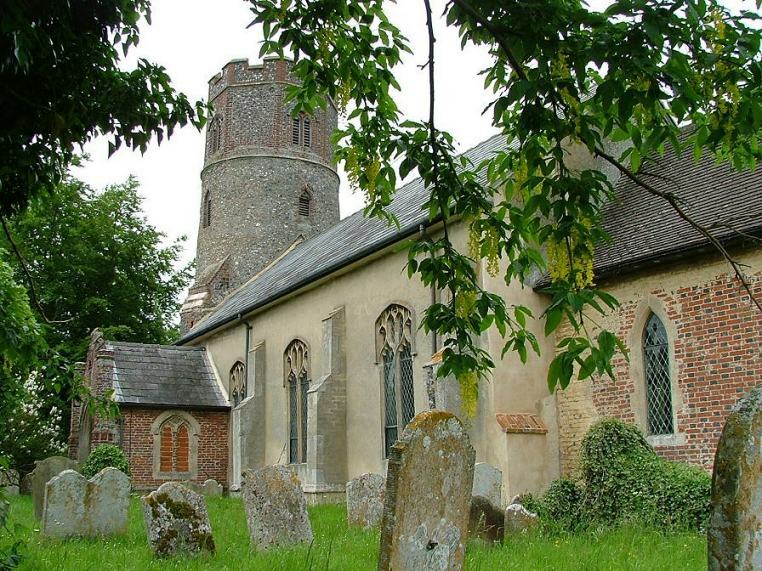 St Peter is thoroughly rural, sitting in a tight little churchyard right beside the road. In the days when the juggernauts were hurtling through to the east coast ports, it must have been as beleagured as poor little Thorpe Abbotts a couple of miles off. 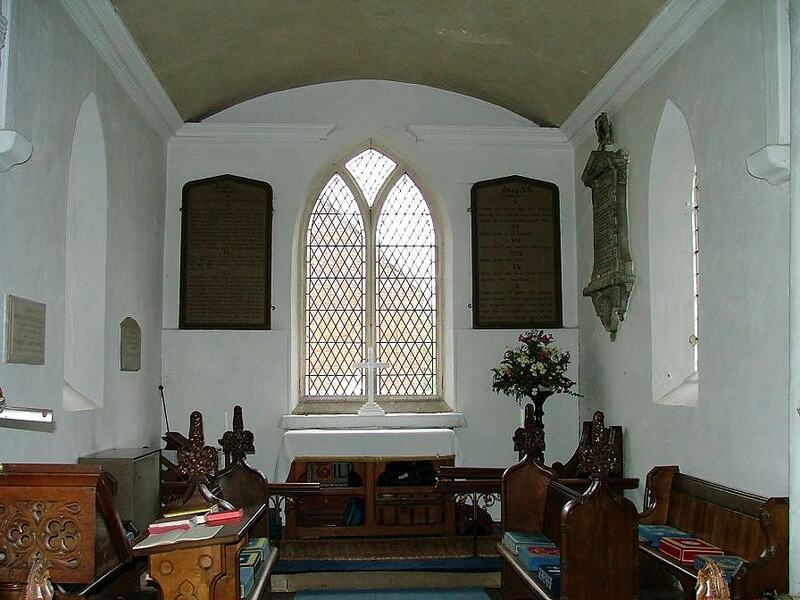 Now, it is a haven of peace, dripping with wysteria and laburnum. 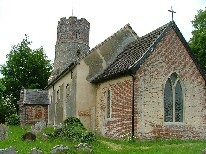 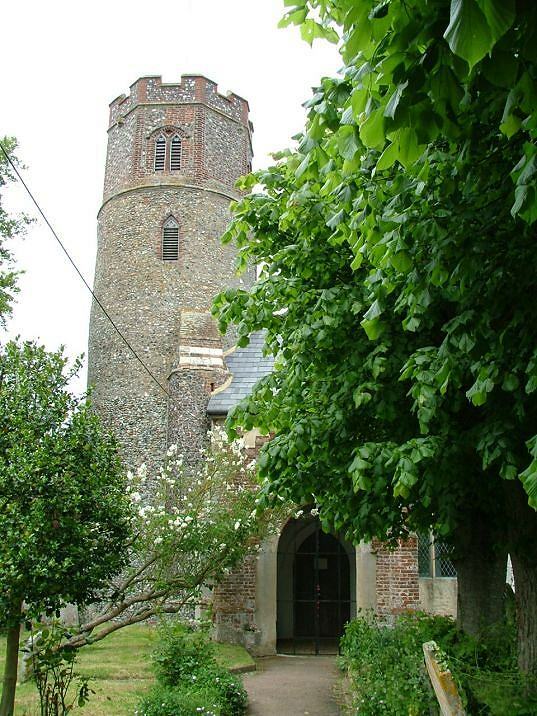 The late Saxon round tower has been buttressed and crowned, probably in the 15th century but possibly earlier, and the pretty red brick porch of the same date makes a pleasing foil.Round towered churches are often characterful, and this is enhanced further at Needham by the pretty red-brick chancel. 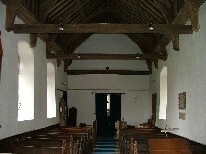 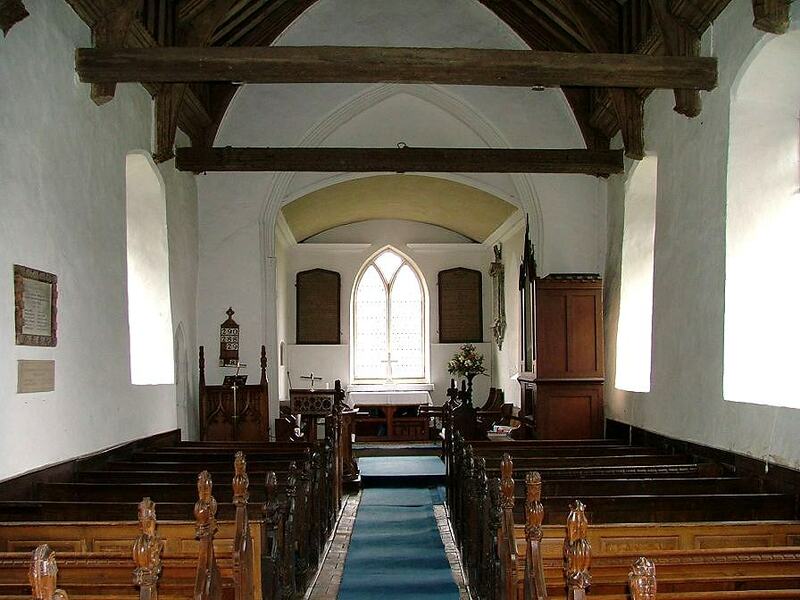 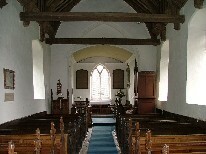 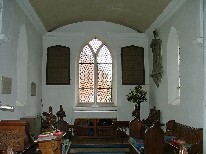 Inside, this is a small, typical village church, heavily Victorianised but with a scattering of medieval survivals, including a gorgeous arch-braced roof the colour of honey. 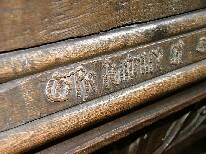 Perhaps most intriguing is the set of benches on the south side. 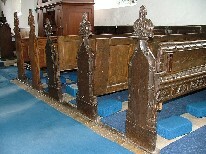 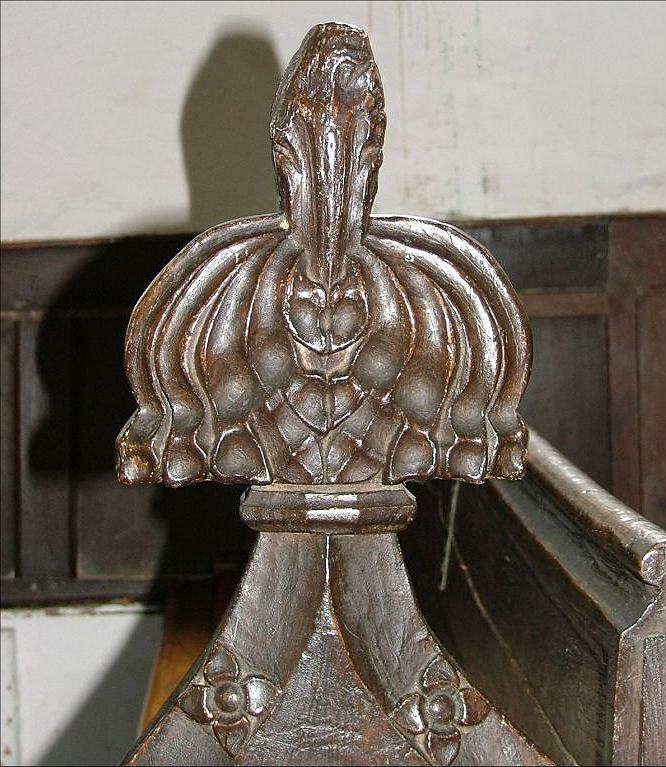 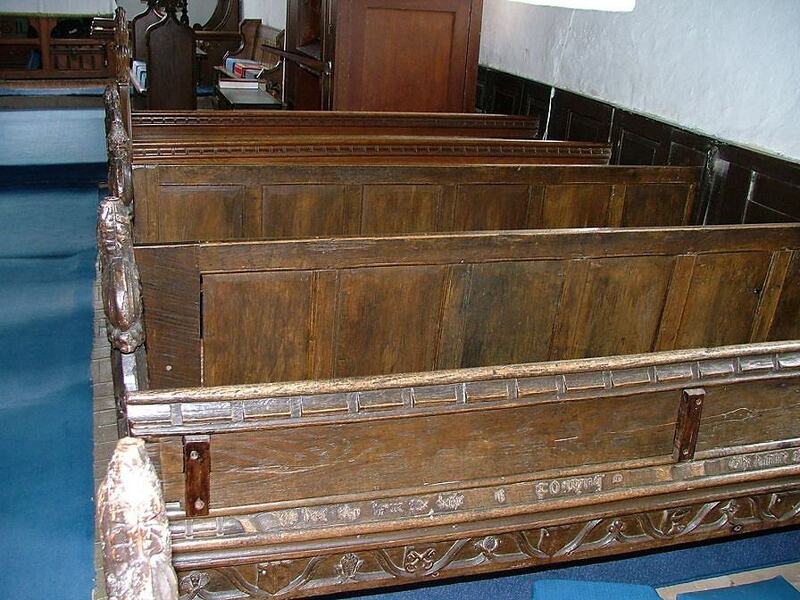 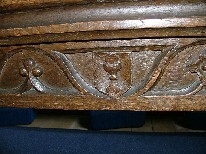 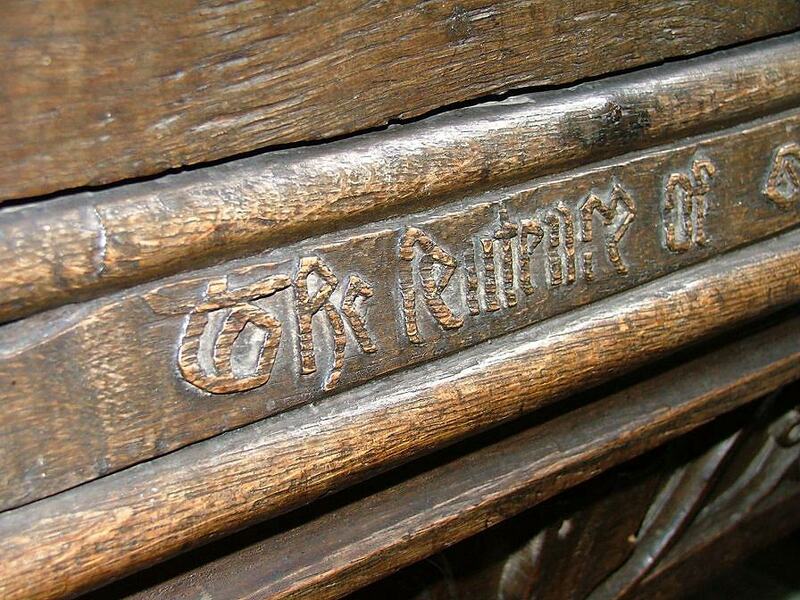 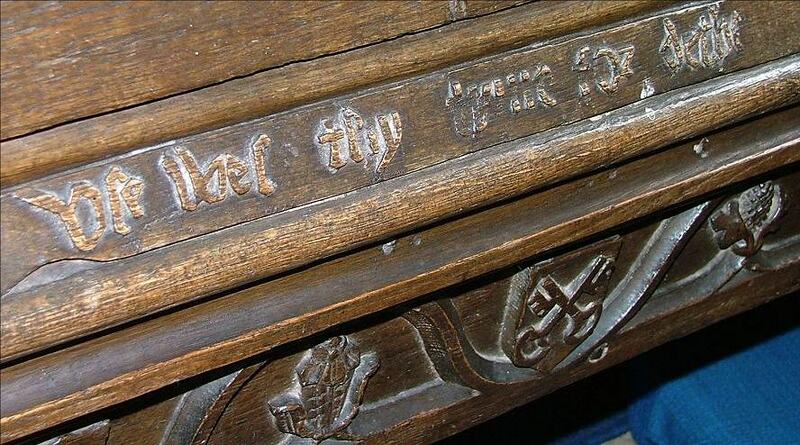 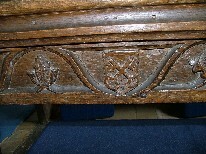 The bench ends appear to be medieval, although rather rustic in character (could they be a century or so later?) 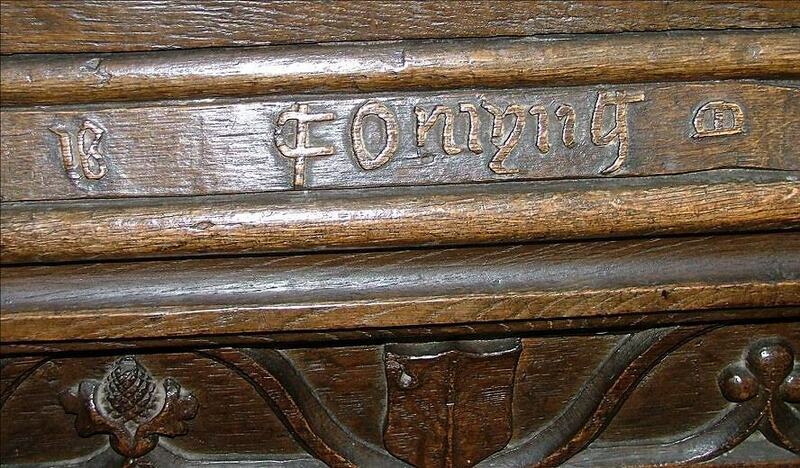 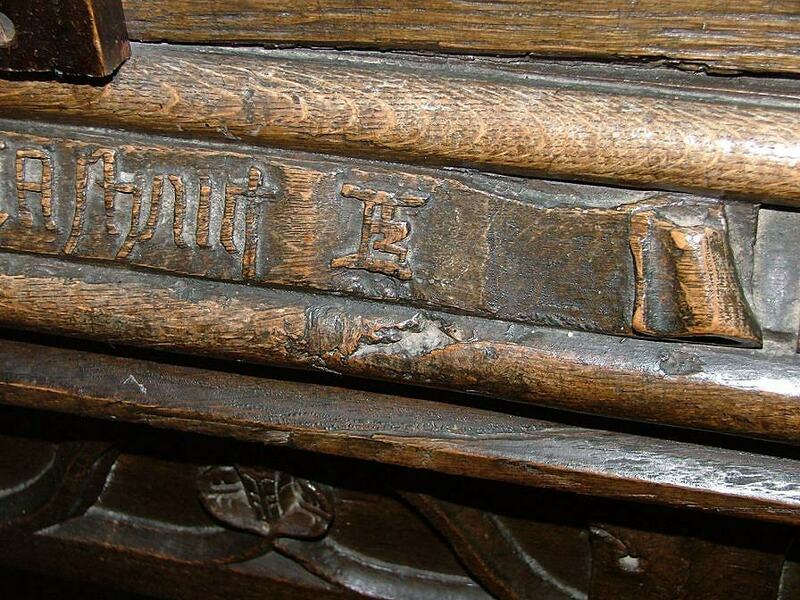 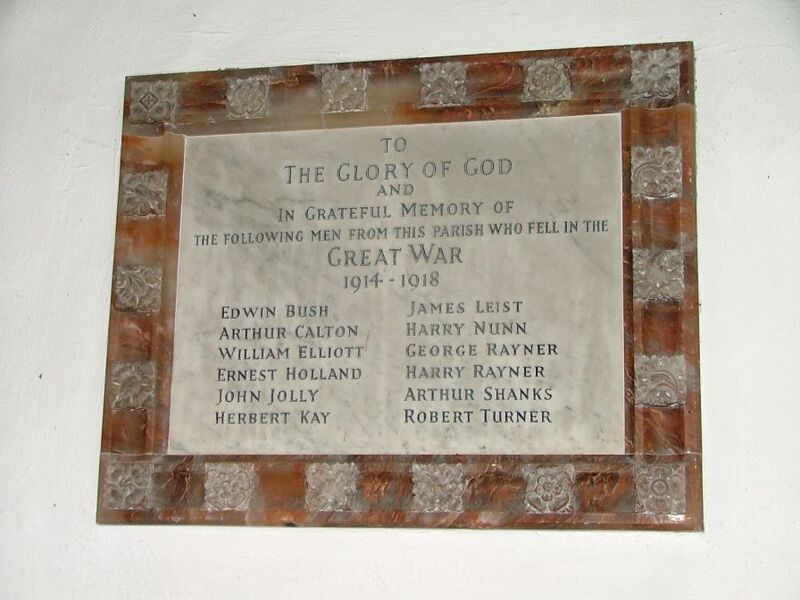 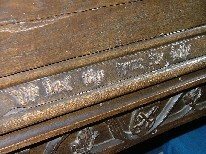 but the most interesting detail is that the back of one of them is also medieval, and part of it, possibly added on from elsewhere, bears the inscriptions Use Wel Thy Tyme For Dethe Is Comyng and The Sentence Of God Almighty is Everlasting. 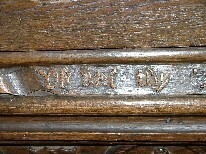 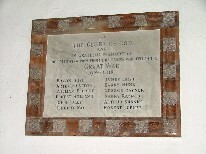 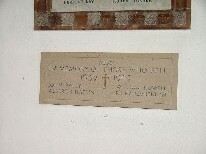 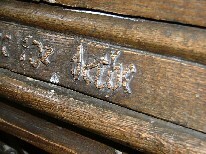 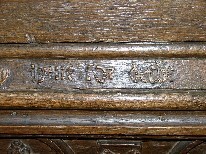 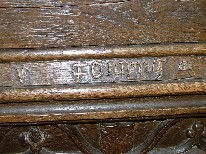 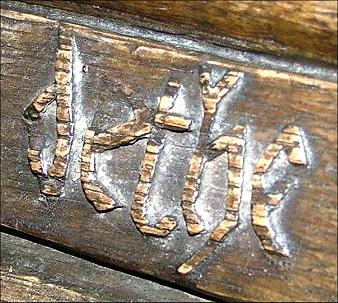 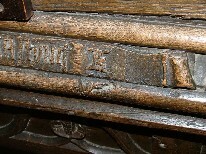 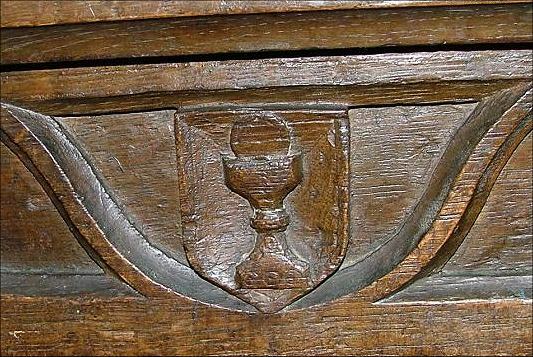 The two sentences are punctuated by the initials M E. One might suppose that such a sentiment is as likely to be Puritan as medieval, but beneath there are carved symbols, including a chalice and host, and the cross keys of St Peter. 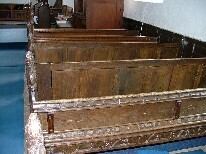 This all may have come from the screen or loft, I suppose, in which case perhaps the old wood was used to make a set of benches of which this back is the survivor. 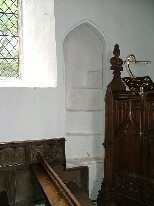 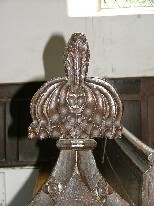 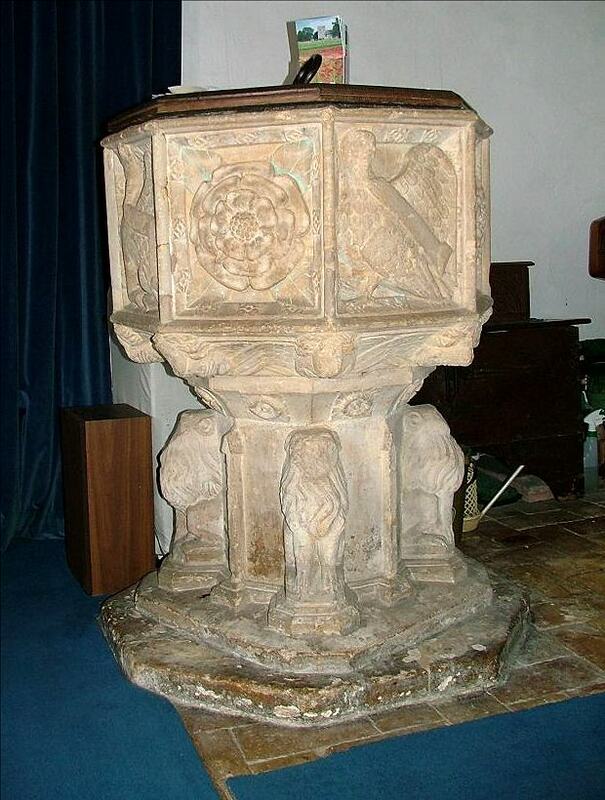 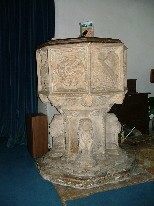 The 15th century font is the same as the one nearby at Starston, with lions supporting a bowl with shields and symbols. Otherwise, all is simple, relatively plain and seemly, so much obviously the work of locals in a village which has now reclaimed its identity from the busy main road.